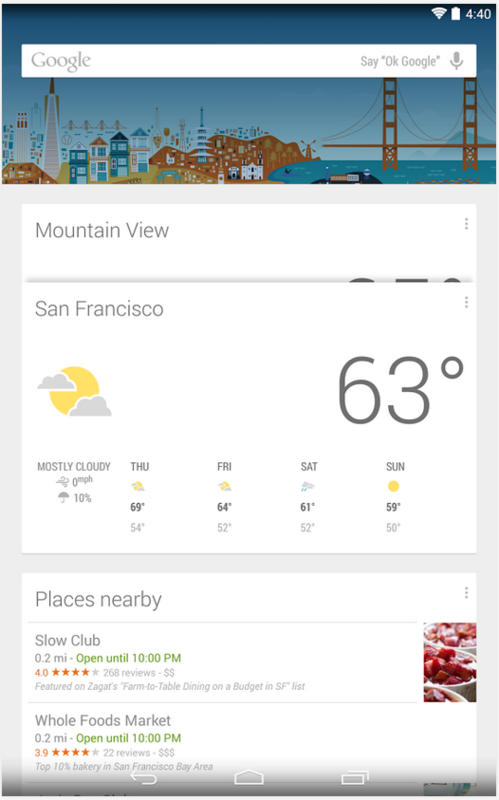 Google Now Launcher FINALLY Available to All Nexus and GPe Devices, APK Mirrored for All Others! It’s been a long time coming, and now the time is here. The Google Now Launcher is finally available in the Google Play Store, but there’s a catch: It’s only officially available for Google Play edition and Nexus devices running Android 4.4 KitKat. The Google Now Launcher, otherwise known as the Google Experience Launcher, originally debuted on the Nexus 5 alongside its release back in October. While the launcher isn’t the most feature packed, there are nice addons available to tweak the functionality of the GEL to your liking. During the past few months, we’ve seen the launcher appear on other devices by means of side-loading the launcher stub and having the latest version of Google Search installed. But until now, this was just officially a Nexus 5 treat. Google has now opened up the launcher for use on its other devices, namely all Nexus and GPe devices running KitKat—though some custom ROM users have reported compatibility issues.